Extremely strong and durable carbon fibre military comb from Dark Stag. The Dark Stag Barber Comb 3 is 210mm long and is a robust addition to the barber's toolkit. It has a maximum depth of 29mm and comes in a smart black finish. It's anti-static and heat resistant up to an impressive 230°C. 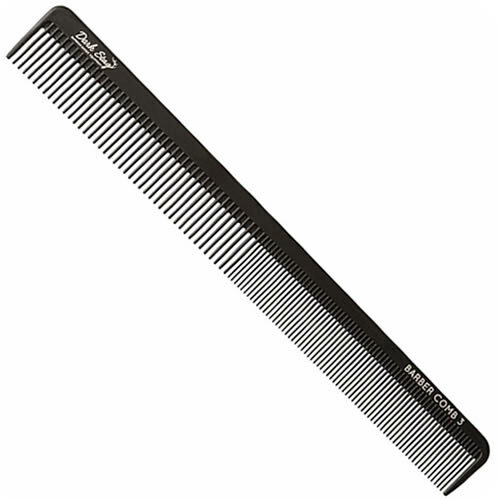 It's a longer comb which has been designed to take on various styling and grooming tasks. £4.55 (inc. VAT) Why no VAT? We're a trade wholesaler and quote our prices without VAT to help our VAT-registered customers understand the true cost of a purchase. Handy tool for removing debris, fluff and residual hair from your comb's teeth.